Slice eggplant about 1/2″ thick and salt all over. Let sit for 30 min then pat dry with dish towel. Dip prepped eggplant slices in flour, then egg, then breadcrumbs. 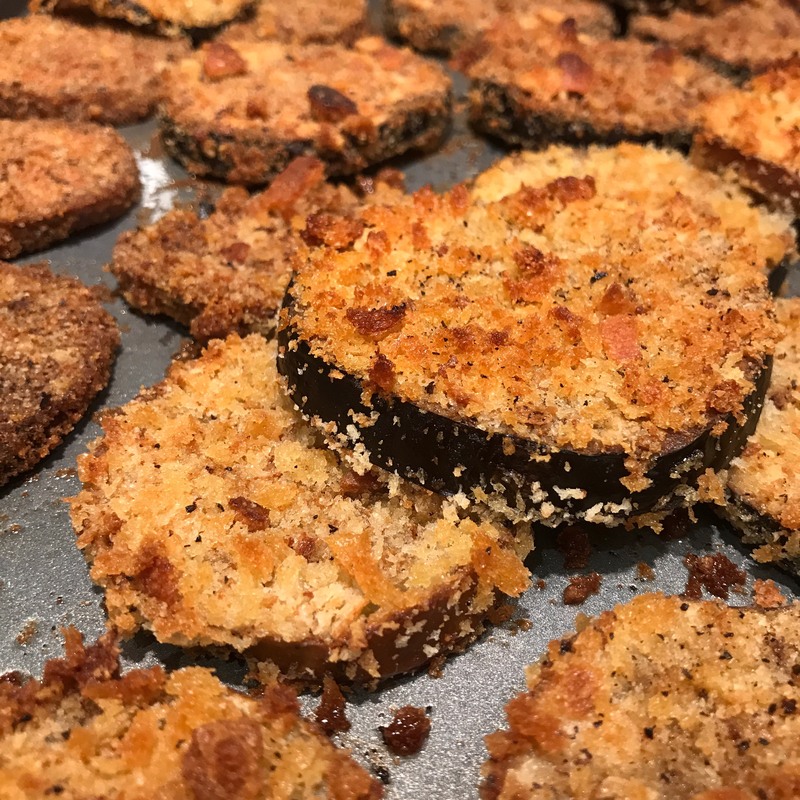 Coat a sheet pan with a light film of olive oil, place breaded eggplant on pan in one layer and drizzle olive oil on top. Bake at 350 for 15-20 min or until golden brown… no need to flip. Let cool. 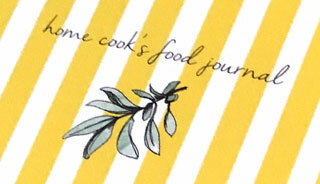 In an American Kitchen Cookware 3 quart Premium Stainless Steel Saucepan or a slow cooker sauté onion and brown meat. Add a dash of thyme, oregano, Maldon & ground pepper. Combine with tomatoes and let slow cook on low for as long as you like. Layer eggplant slices, meat sauce and mozzarella in an American Kitchen Cookware Cast Aluminum 12 inch Square Roaster or 11” x 15” Bake & Roast Pan or a casserole dish. Cook in oven on the middle shelf for 20-30 minutes, until bubbly or refrigerate/ freeze for a later date.